Where is she now? 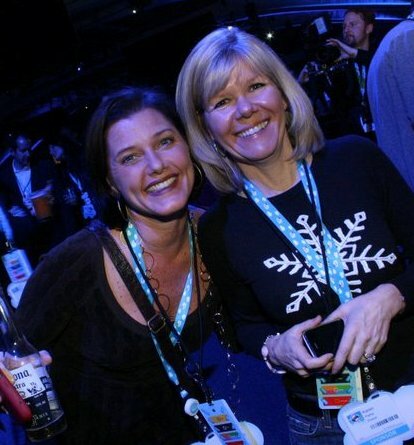 Since this article was first published in 2010, Jill has gone on to maintain her status as top salesperson and in 2011 was awarded “Employee of the Year” at Eloqua. She continues to practice what she preaches and remains a leading resource in her field via social media. 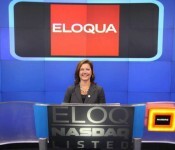 On August 2, 2012, Eloqua went public on NASDAQ to raise $92 million. Jill was among the team to visit the stock exchange for the event. The Bootstrap: Jill, can you address a very common thought process about marketing automation? I think it’s important for anyone considering their marketing automation plans to have some perspective. Does a marketing automation solution act as a substitute for marketing staff? Jill Rowley: Not every aspect of marketing automation is automated. It’s driven by people. Even when considering a system purchase, the process involves multiple parties. Thus, at least some of those same parties should be involved in a successful implementation. While a “committee buying process” has its challenges, it is crucial that organizations know two things. Number one, what they plan on doing with marketing automation, and number two, who is going to do what. And any lack of understanding of those end-user’s requirements will cause problems. Marketing and operations is something I’m hugely passionate about. Tools that are easy to use, still require administration – and require an investment in the marketing function that will continue to take it from a right brain to a left brain discipline. Marketing automation platforms do not segment your target markets, clean your data, create content, or make new data appear. Even I didn’t realize how mission critical the data component is. The Bootstrap: In a successful implementation, who are some of the players? Jill Rowley: Companies that have the highest adoption have people in both content and technical execution working together. Logging in and designing nurture flow is being done by more technical folks. Although it may be determined by marketers who understand who should receive what and when. A web team can be a really good place to own execution. You need some technical saavy. Folks who understand e-marketing and have some HTML skills (or access to them) are better day-to-day operators. The Bootstrap: Is there a deep connection between how Eloqua helps its clients market and sell, and the overall sales strategy Eloqua uses? In other words, are your tongues as red from the Kool-Aid as they should be? Jill Rowley: Yes, we have seen a better working relationship between sales and marketing evolve because of it. We now have better alignment between our CSO and CMO. We’ve matured to a $50 million company. We’ve been growing at 30-35% per year, and we’ve grown in our own understanding of content, data, etc. One of the greatest head count we added was a Director of Content, Joe Chernov. He has shifted internal thinking around the role of community, social media, and content in the software world today. We get better at targeting, personalizing and supporting sales. When I look at my Eloqua templates, I see that marketing is continuously looking for new content and segmentation methods. And they’ve gotten very effective at pushing it down into sales and figuring out how or when to best use it. The Bootstrap: Looking at your presence on social media, you seem to believe in personal branding, and crossing back and forth between your personal and your corporate self. What has led you in that direction, and what do you feel are some of the benefits? Are the benefits mostly business, personal, or both? Jill Rowley: As you point out, I’m a mom of 4, and if I could change my title, it would be mother of marketing automation. I’m about giving each member of the community respect and judging organizations based on the quality of the content they produce, the quality of their online profiles, and making each interaction useful. I can’t stop expanding my network every day – despite the outstanding contracts on my desk awaiting signature. I have to incorporate my personal and business brand because I reach out to people across the different platforms. I don’t set aside an isolated time slot for social media, it’s a natural part of my work, and integrated into my day. Facebook is making it into the mix more and more – it really needs to be part of your day, and your hourly processing. It no longer makes sense for me to think of one platform as “personal” and another as “business”. Those distinctions are fading, if they were ever really there. I find that people want to get to know “the whole person” that they’ll be doing business with. And there is nothing new to that concept. The Bootstrap: I can’t help but notice that you seem very “pro corporate event”. You’re a long-time participant in Dreamforce, and I’m sure plenty of other forums, not to mention some exciting President’s Club “meetings” on tropical islands! As someone who represents marketing automation, what is your take on live corporate events? Do they still play a vital role in the sales and marketing playbook of the new millennium? Jill Rowley: I think they are here to stay. I loved the Dreamforce app so much this year because I took four weeks to go in and prepare. There may be fewer events overall, but we’ll be more prepared for them, and meet more people and develop more worthwhile connections. Dreamforce has chatter embedded in it, and I think we’re going to see more cross-company communications. For example, check out the MOCCA website (http://moccabayarea.org). I think cross-company collaboration is where social media is taking us. The Bootstrap: Is there anything else you’d like to share with sales and marketers who are under increasing pressure to make miracles happen with moderate to modest resources in 2011? Jill Rowley: Planning, planning, planning! You have to have planning. 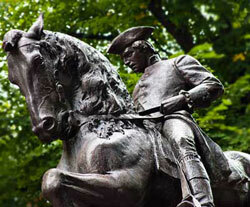 A lot of times executives “copy” 2009 plans and “save as” the 2010 plan – tweaking it here or there. They fail to ask, “If I had a clean slate, what would I do?” Forget history, and think of the future with all of your new options. I encourage more radical, transformational thinking. You have to start to think differently if you want a different result. Take a risk, measure, and with the community and collaborative aspect available to all of us today, there are plenty of smart people out there who can help. I would also encourage people to go outside of their box. Involve people you’ve never involved before. How about your chief engineer? Seek completely new input, if you want completely new results. The Bootstrap: Thank you Jill, for all of your insights over the course of this two-part interview.